These Parenting Resources include a variety of helpful articles, links, and other resources collected especially for parents! Browse these links for information and products to make parenting easier and more fun. If you are associated with a relevant site not listed here, feel free to submit your site to us. Being a parent isn't always easy, but these articles may help. Every parent knows that their home will need to be childproofed. A Complete Guide to Childproofing Your Home has tips and tricks to make your home safer for baby. Children under four are the most likely to choke on something. Choking Hazards for Children has tips for preventing choking in young children. Everyone can learn how to treat a first aid crisis and identify when further medical attention is needed, and this First Aid Resource Guide can help. Aggressive behaviors, such as biting, hitting, and throwing things are normal. Learn how to weather the storm until your child outgrows this phase. One of the most critical milestones in every child’s life is when they learn to poop and pee on their own. How to Potty Train tackles both the dreadful and exciting aspects of this milestone in your child's life. A Parent's Guide to First Aid helps parents understand basic first aid and how to apply it according to the injury and age of their child. 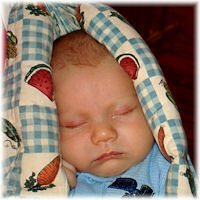 A Parent’s Guide to Safe Sleephelps parents reduce the risk of SIDS. Written by the mother of an online friends who passed away at age 61, before Poppy the Purple Turtle was published. Her son made it his mission to get the book done and distributed to as many people as possible. Enjoy! Toilet learning is best begun at home, but when you think your child is ready to start at child care this article will help! Parents who need quality care for their children are discovering that family child care programs naturally provide the individualized attention young children need. These Attachment Parenting Resources contain some of the most helpful information about Attachment Parenting resources! Browse these links for Attachment Parenting information and products. The mission of Attachment Parenting International (API) is to promote parenting practices that create strong, healthy emotional bonds between children and their parents. The BabyWearer is your online babywearing resource centre. With articles to help you choose the right type of baby carrier for your needs, reviews and product lists to help you find the perfect carrier for you, and extensive information and links to help you use your baby carrier. All supported by a wonderful community of babywearers who can help you with all your babywearing issues and provide support for your parenting choices. Babywearing International is a nonprofit organization whose mission is to promote babywearing as a universally accepted practice with benefits for both parent and child. Becoming Mamas: Attachment parenting and natural living in the real world. Zany Zebra Designs offers exclusive, modern cloth diapers. Cloth diapering has come a long way from the pins and plastic pants of our grandmothers' day! Today's cloth diapers are hip, fun, and easy to use. Plus they're better for your baby, your budget and the environment. Once you've tried modern cloth diapers you'll never go back to paper again! KellyMom: Breastfeeding and Parenting was developed to provide evidence-based information on breastfeeding, sleep and parenting. Kellymom has almost everything you'd ever want to know about breastfeeding. 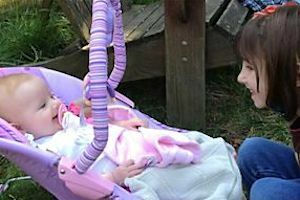 What Attachment Parenting Is by AskDrSears.com will help you learn the basics of Attachment Parenting, including the seven attachment tools. Explore the following Parenting Resource links for some of the most helpful articles, products, and other resources available for parents. Being a parent isn't always easy, but these resources can help. The Addiction Center provides the most up-to-date information on addiction as well as reviews of top treatment centers across the country. Addiction Resource raises awareness on the dangers of addiction and helps parents stay healthy and drug-free for themselves and their children. Alcohol Rehab is a free online guide to alcohol addiction, treatment, and recovery. County Office is the most accurate internet database of county government offices in the United States. Easily locate your county assessor, board of elections, chamber of commerce, child support offices, colleges, coroner, courts, and much more, with all relevant details. Talcum powder, more commonly known as baby powder, has been linked to severe respiratory problems in infants and older children. Learn about the Dangers of Talcum Powder in this helpful article. Drug Rehab equips patients and families with the best information, resources and tools to overcome addiction and pursue lifelong recovery. Food Allergies 101 is written by a health coach specializing in stress-related illnesses and nutrition with a keen interest in food allergies and intolerances because her son used to have a mild wheat allergy. Getting Your Kid to Sleep contains some great information about how to help your kids get the sleep they need. Grants for Single Moms because single mothers often need help with expenses, and grants for single mothers are definitely available. Check out this site for a list of grants! Health Finder by the U.S. Department of Health and Human Services promotes better health through education and awareness. 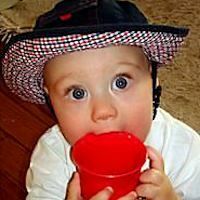 Pediatric Answers is an informative, comprehensive guide written and reviewed by Answers.com's own expert Dr. Gwenn O'Keefe, a pediatrician, author, parenting, digital media expert and CEO of Pediatrics Now. The guide covers a wide range of topics from allergies to child behavior to infant care and more with new articles being added each day! The Recall Report was created to alert the public to the latest information on dangerous drugs and products; the up-to-date information we provide on recalls, alerts, and side effects is vital to keeping safe. The Recovery Village offers comprehensive treatment for dual diagnosis based drug and alcohol rehab, eating disorder and mental health treatments tailored to the patient's specific needs. Rehab Center an organization dedicated to connecting people seeking addiction treatment to the resources they need to succeed. The Risk Checker is a really cool tool where you visit rooms within a model home to learn more about areas that could cause a house fire and how to decrease your risk of a fire. Tobacco Free Life is a leading organization with a mission to save lives by ending worldwide disease, damage and death caused by tobacco. This is accomplished through research, education and advocacy. Tutor Hunt is a completely free service for tutors whereby students can find the nearest tutor to them who matches their requirements. The service is used by thousands of parents and students - if you're looking for a tutor, try it out today! Child care is an increasingly important part of young children's lives as more parents work outside of the home. Check out these Child Care Articles for valuable resources for early childhood teachers, child care providers, and parents too!